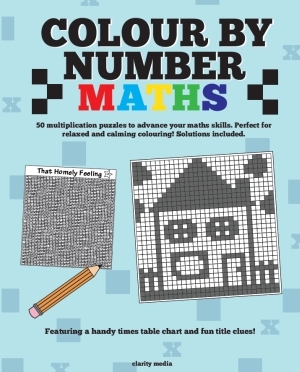 Welcome to this fantastic collection of 50 colour by number maths puzzles! 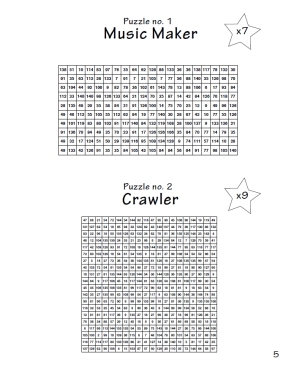 The rules are simple; you must colour each cell that is a multiple of the number given in the star. These puzzles are great for those wanting to advance their multiplication skills, or even adults looking for some relaxing and calming colouring! A handy introduction page, featured inside, will help to explain the instructions in more detail. A multiplication chart is also included. Solutions showing what the finished image should look like are towards the back of the book, so if in any doubt, take a peek there. Some of the images featured include animals, beach scenes, mythical creatures and many more. Can you tell what they may be before completing the puzzle? All puzzles are printed on very high quality paper, meaning these pages can take plenty of colour!